Successfully Added Mini Camera Drone - LED Lights, 8m/s Flight Speed, 100m Range, Remote Control, App Support, WiFi, 0.3MP Camera, 220mAh Battery to your Shopping Cart. This mini foldable drone is one of the smallest drones found in our assortment. 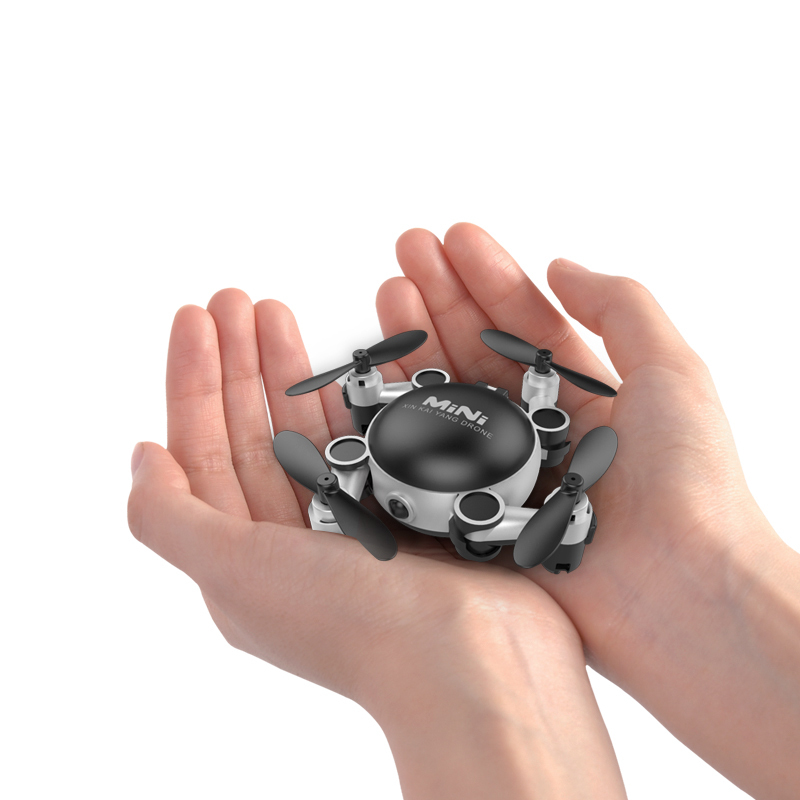 With its miniature size and lightweight design, this pocket drone can be easily flown both inside and outside. The drone itself comes with a remote controller that allows you to conveniently cruise through the skies. This same controller can additionally be used for storing your Quad-Copter while not in use. This makes your gizmo every easy to carry along and you’ll never have to worry about accidentally damaging its body while storing it away. With its LED lights, you’ll be able to keep easy track of your drone even while flying after dark. You’ll be treated to different flight modes which are sure to meet all your drone pilot demands. Thanks to the fact that this drone is extremely easy to control and maneuver through the skies, it is the perfect gadget for beginning drone enthusiasts. The drone supports one-key landing, can move in any direction, and even allows you to make 3D flips and rolls in the sky. The mini drone comes packed with a sophisticated 0.3MP camera. This little snapper lets you take pictures and video while flying around. Thanks to its WiFi support, your pocket drone can be controlled through both its remote control and a mobile App on your iOS or Android phone. With a range up to 100m, this mini drone truly lets you discover your surroundings like never before. The drone features flights speeds up to 8m/s and comes with a lightweight 220mAh battery that treats you to minute’s worth of flying time.